Dr. Brian Dawson, DPM is a fellowship trained Podiatrist who specializes in medicine and surgery of the foot and ankle. Dr. Dawson has interests in sports medicine as well as all conditions relating to the foot and ankle. After graduating from Binghamton University with a Bachelor of Science in Biochemistry, he attended New York College of Podiatric Medicine. Following graduation, he completed a Medical and Surgery Internship from St. Vincent’s Hospital Manhattan. 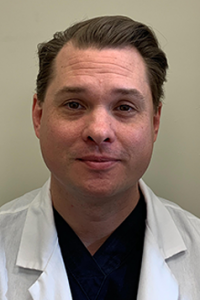 He completed his 3 year residency training in Podiatric Medicine and Surgery with added credentials for rear-foot and ankle reconstruction at New York Downtown Hospital. Dr. Dawson then traveled to Germany for fellowship training in trauma surgery at hospitals in Berlin and Dresden, where he worked with some of the leading physicians in his field. Dr. Dawson treats patients with acute and chronic conditions including, but not limited to, joint pain (ankle, foot), arthritis, athletic injuries, skin and nail disorders, and the diabetic foot. He approaches the treatment of the foot and ankle with a multi-modality, comprehensive plan using physical therapy, custom foot and ankle orthoses, diagnostic and therapeutic injections, and surgical management as necessary. He works closely with other specialty physicians and physical therapists needed to help improve an individual’s quality of life and daily function.